Sutliff maple street in a freehand meer. Sutliff PS Breckinridge in my old reliable 1986 smooth Peterson Kildare 999 Rhodesian. Found a half-dry bit of C&D Pirate Kake. Why the eff not? Amphora Red Match in the very first pipe I ever bought ($2.95) in 1974; a smooth three quarter bend Dr. Grabow Omega. First try on some lane rlp-6 in a fresh MM legend. It started as a compromise for Xmas, not too shabby though. Just finished smoking Brunello Flake in a much cherished smooth straight grain three quarter bend 1979 Becker M 4 heart banker. Next is Edward G. Robinson's Pipe Blend in a 2014 Basil Meadows smooth slight bend squashed tomato with an aluminum band and a black pearl acrylic stem. Moments away from smoking Capstan Blue in a straight sandblasted black billiard 2013 PSF POY Kaywoodie with an amber colored lucite stem. Having some afternoon ketchup/sweet, McC's 5100 RC in my new Savinelli Silver 115 KS Pot. Christmas Day. Went for a little stroll around the Welsh hills in Snowdonia accompanied by a bowl of an aro cased in red wine and a bowl of MacB's Vanilla Crème Flake. Eventually caught up with my children who were busy climbing a tree and scrambling up the nearest slab of rock. Only one thing to do at a moment like that... kick back, sup a little more and watch them enjoy the great outdoors. Splendid. Sounds a jolly nice time David. Did you take any pics you can share? I love that area and recall some good times walking there with a couple mates. Had some '10 McC Xmas Cheer this afternoon in my Ser Jacopo Per Aspera Poker. What a nice way to spend an hr or so. Got some of my favourite VaPer prepped for after supper - aged 2015 w/15% added Perique which will burn in my Sav Punto Oro 320 Author. Smoked a few bowls earlier, and am almost finished smoking the last of my stash of Edgeworth Slices in an old grain relief, partly smooth full bend "V" shape bowl Ben Wade Prominence freehand with the letter A and the numeral 2 in circles. Paul Olsen’s My Own Blend 111 in a much cherished smooth straight grain three quarter bend 1979 Becker M 4 heart banker. Having an end of day bowl of Balkan, some Durbar in my Hardcastle squat bulldog. 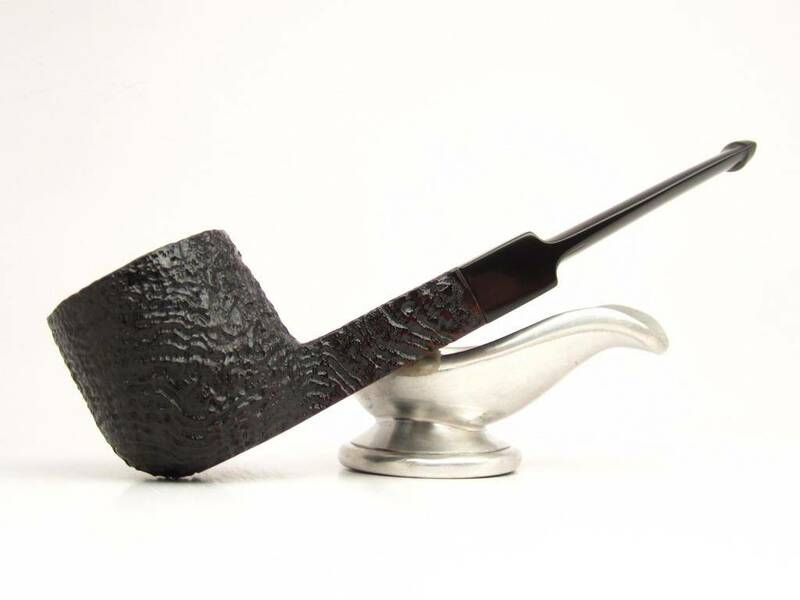 Part way through this bowl of MacBaren Modern Virginia Loose Cut in a post WW2 Pre-Republic Peterson Dublin straight smooth X155 Bulldog with a sterling silver band. HH Vintage Syrian in a 3/4 Bent Tinsky 5 "one star"
A couple minutes away from smoking Missouri Meerschaum Missouri Pride in a smooth 1998 Parker 489 three quarter bend Billiard. This finishes the stash. 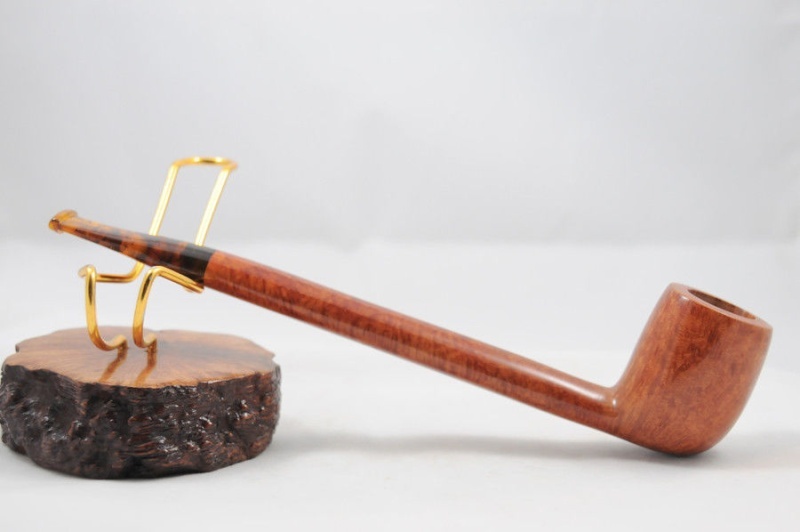 A couple minutes away from smoking the last of my stash of Dunhill Elizabethan Match in a late '70s full bend straight grain rough top Savinelli Autograph 6 sitter with a cumberland stem.